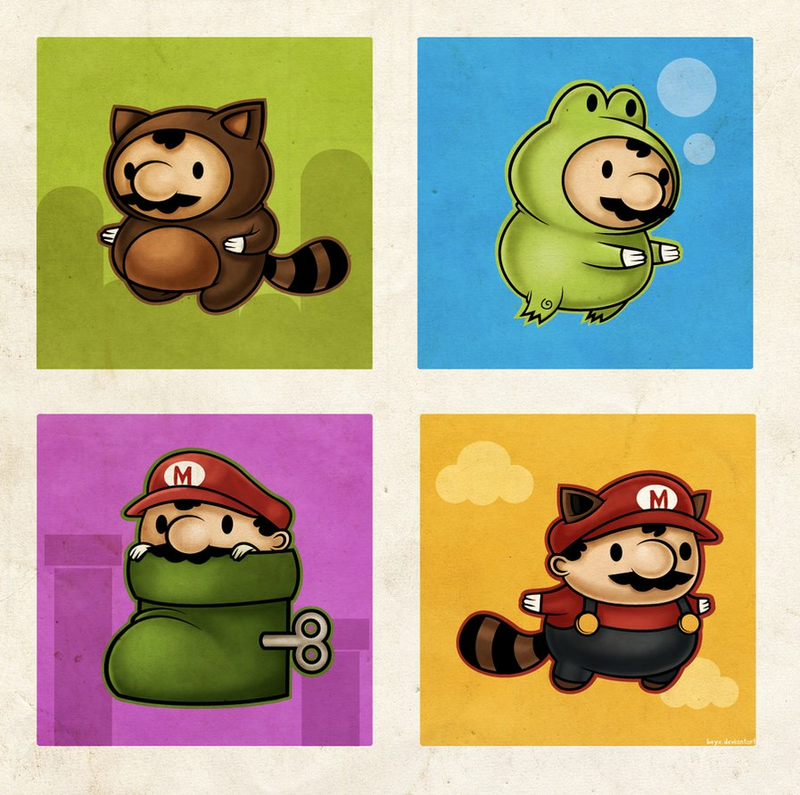 Especially when they're as cute as the guys in deviantartist beyx's "Mario Suits" illustration (below). They're all so fat and cute! Yeah, they're sickeningly cute, aren't they? 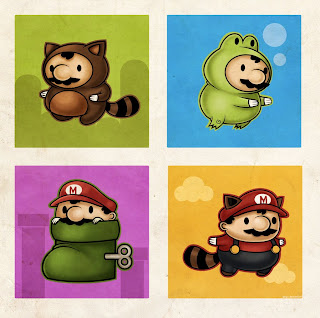 Yeah, making Mario fat like this makes him much more cute and like-able. The little tuft of hair on his forehead adds a lot to the look too!